It was a beautiful morning this morning, so I headed out to the park to enjoy the early sun. 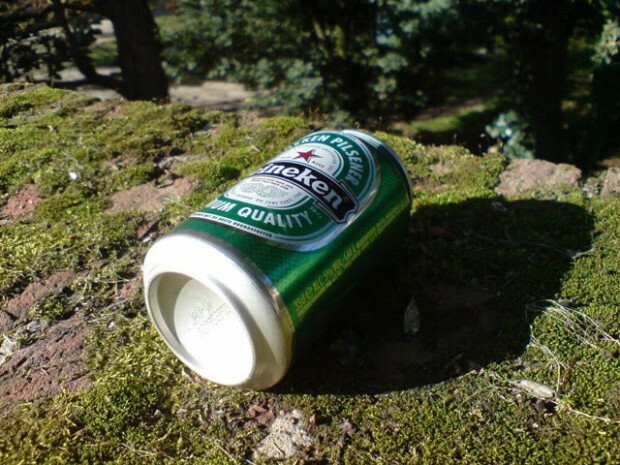 On my way I saw this lonely beer can sunbathing on the wall of the bridge looking over the park. I don’t drink, but when I still did Heineken wasn’t my favourite brand at all. Still, the green colour of the can matches perfectly with the moss on the stones.